What´s the scariest part of getting started? Getting STARTED. That´s why we´re introducing Evernote templates. A new and easier way to get you started. Now, when you create a note, try starting with one of 30+ templates available. 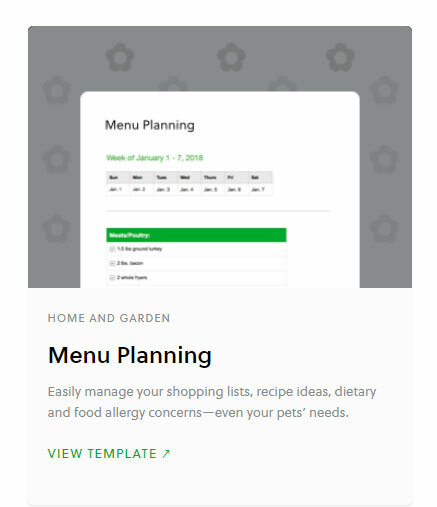 From class notes to blog post worksheets or meeting agendas, Evernote templates will help you work better, and get things done faster. Next month, as Evernote Community Leader, which mainly uses Evernote for fitness, I will update old posts to include new training templates so that it is easier for you all to log your workouts and activities from the first moment. Better notes are just a click away. Save time and effort with easy-to-install note templates to fit every need. They’re fully customizable and endlessly reusable. Don´t miss this opportunity to become more productive, enjoy more free time and achieve your personal and professional goals. Create your Evernote account HERE.